Don't Breathe Tamil remake with Vikram? Hollywood's heart spinning horror thriller Don't Breathe is likely to be remade in Tamil. Now, there is a buzz that a Kollywood producer is trying to make the desi version of the film. 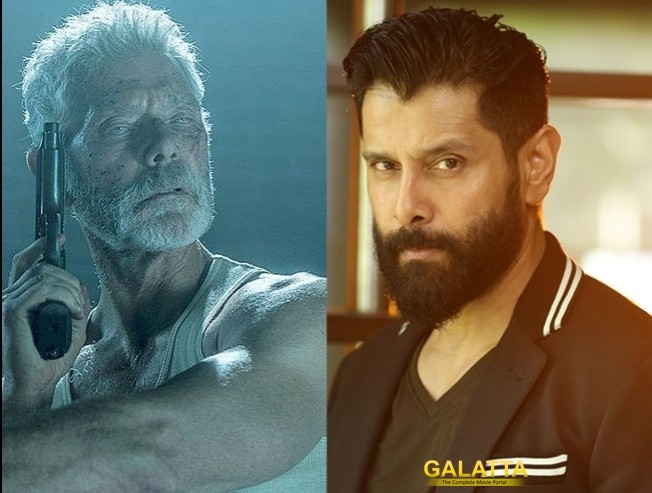 Going by the reports, Vikram will play the lead, a blind man, in the Tamil version. However, nothing has been confirmed yet. >>Saamy 2 - Comedy Sneak Peek Is Out!